There are times when you can spend and invest in long term pieces which will sit timelessly on your fingers for years to come and others when you want that quick purchase to treat yourself or get the look. This features two of my favourite collections, the Riva collection from Monica Vinader and Z for Accessorize. 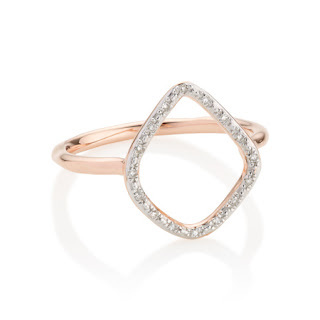 Both have warm rosy metal tones and have a pave setting around an irregular organic hoop. There is a huge difference in quality of metals and stones in these rings. 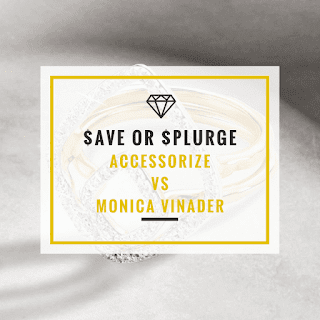 The Monica Vinader Riva ring is rose gold vermeil with 0.044 carats worth of diamonds in the setting. 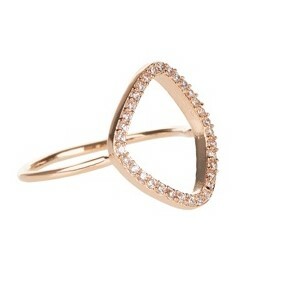 The Accessorize rose gold organic ring is a brass ring set with zircons.